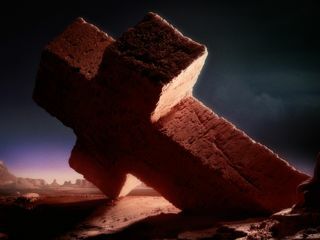 Justice: does this image symbolise the end of the 'Cross' era? The wait for new material from French electronic duo Justice will soon be over, as they've announced that a new single, Civilisation, will be released on 4 April. This will be the first new original studio work from the band since 2007's highly acclaimed 'Cross' album, and will be followed by an as-yet-untitled album later in the year. Civilisation will also be used as part of a new Adidas advertising campaign which is being directed by long-time Justice collaborator Romain Gavras. UPDATE: You can now listen to the full track as part of that Adidas advert over on the brand's YouTube channel. Little is known about the musical direction that Justice's new album will take: the only thing they've done by way of promotion thus far is to post the image that you can see above on their Facebook page.